Wonderfully stylish and spacious villas that combine authentic Zanzibari style with all the mod-cons you could need - at the price these have to be some of the best value rooms on the entire island! Stunning views from the swimming pool deck over Mnemba island and the dhows passing by on the aquamarine waters of the lagoon in front of the lodge - this deck is also the perfect place to enjoy a light lunch as you soak up the views! A highlight of the villa design is the inviting Baraza veranda area complete with your own individual plunge pool and sundeck, perfect for relaxing in luxury without having to venture from your room! One of the things that differentiates Zanzibar from other more ordinary destinations like Mauritius is the wealth of wonderfully intimate, authentic and stylish boutique beach lodges to be found there (as opposed to characterless large resorts) – and Kasha is one of the brightest new stars on the Spice Island! 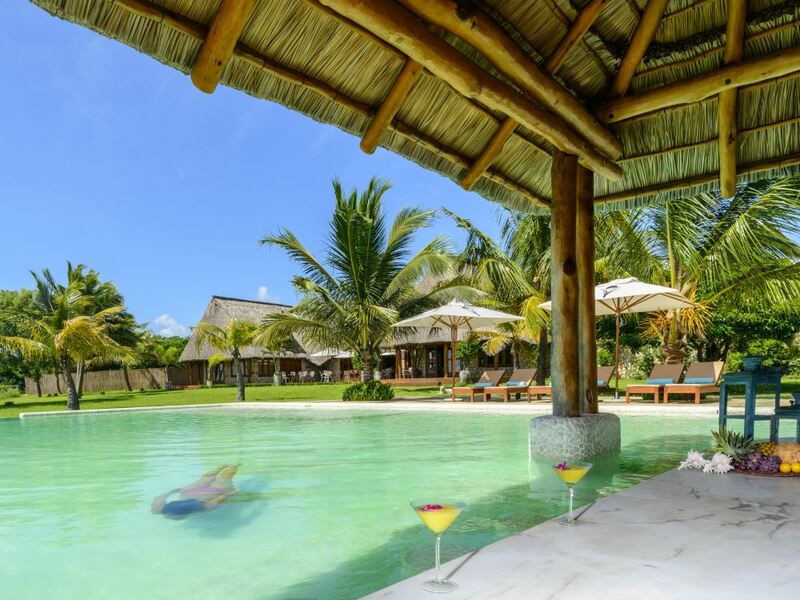 Opened in August 2009, this stylish new lodge is located at Matemwe on the north east Coast of Zanzibar – in fact it’s currently the last lodge found on this stretch of coast line, so peace and tranquility are guaranteed. The lodge boasts just 11 luxurious and very spacious villas that combine the best of traditional authentic Zanzibar style and modern luxury design features – the interiors are a roomy 80sqm and boast traditional Zanzibar features such as elegant and cool Lamu flooring (plaster finishes using lime scale), lovely open showers and half timbered celings; these traditional touches are then combined with such mod-cons as air-conditioning and flat screen TVs. A highlight of the villa design is the inviting 50sqm Barazza veranda area complete with your own individual plunge pool and sundeck, perfect for relaxing in luxury without having to venture from your room! Arranged in 2 rows in a sloping plot above the sea, each of the 11 villas have a 180 degree view of the lagoon, and the nearby Mnemba Island atoll surrounded by a brilliant turquoise ocean certainly makes for a stunningly attractive back drop! One of the highlights of staying here is the chance to sit back on your veranda and observe the incredible daily spectacle of the fleet of 70-plus fishing dhows sailing past the lodge on their way to and from the fishing grounds beyond the reef – truly an awe-inspiring sight! 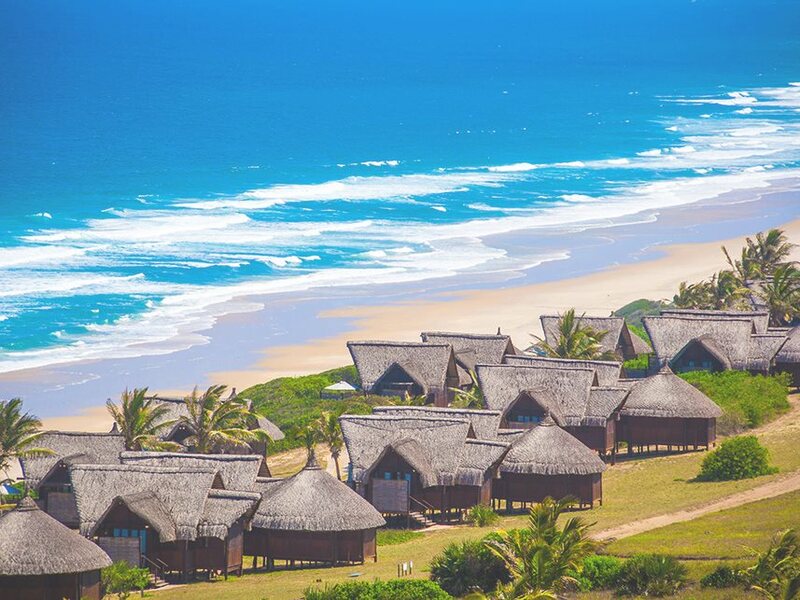 The lodge is positioned above a coral cliff in an open space of untouched natural land where you’re surrounded by the sounds of waves lapping gently against the reef and enjoy the benefit of cooling sea breezes. During low tide the white sandy beach below the low cliff is accessible by stairs – at high tide the sea comes right in against the cliff and the sand is submerged so guests can either swim there or, if they want sand to sunbathe on, they can take a 5 minute walk to the neighbouring cove where there is always white sand no matter the level of the tide. 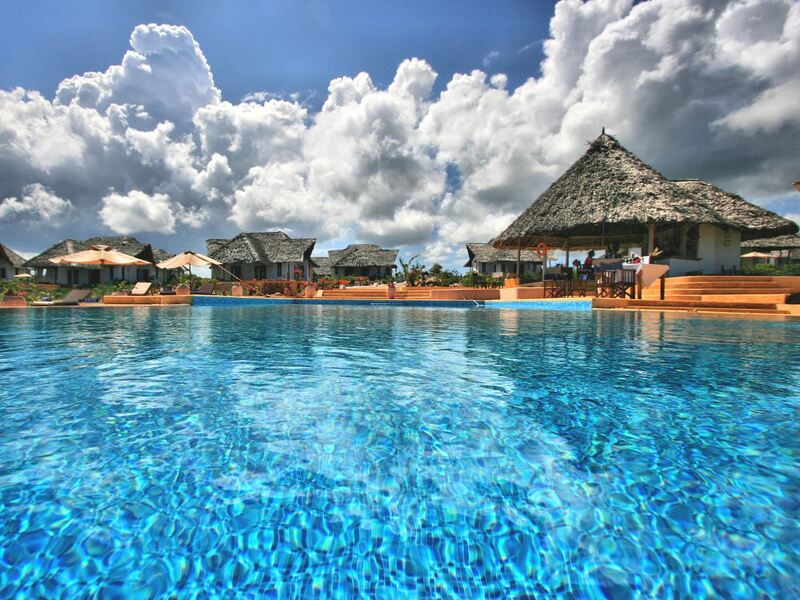 The Water Front Bar and infinity pool are perfect places to relax and soak up Zanzibar’s tropical heat. 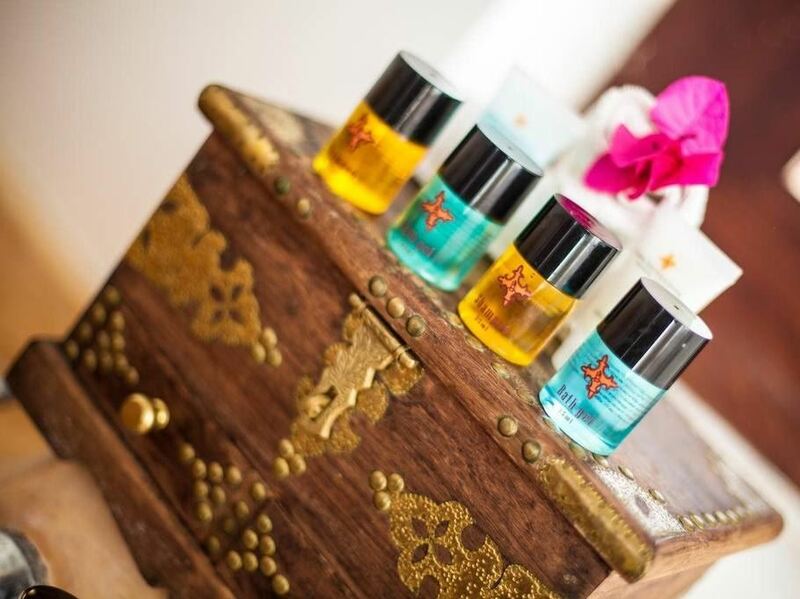 From there you can drag yourself to the stylish Spa for a blissfully relaxing massage. If you want to do something a little more active, Kasha’s proximity to the fantastic reefs of the Mnemba atoll means it’s perfectly positioned for snorkelers or keen scuba divers – or perhaps you may want to hire a jeep or motor bike to explore the area. After a busy day (or a totally lazy one if you prefer! ), head to the bar as the sun retreats for a Moonrise Cocktail to get you into an even more relaxed state before you head off for a delicious dinner at the Sama Restaurant where the soft atmospheric lighting is perfect for wooing your “significant other”!